From the dropdown, select Account. 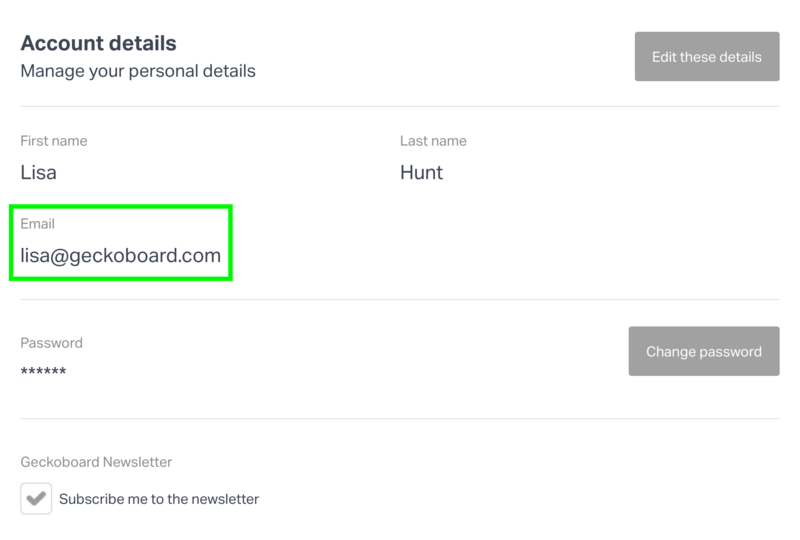 On the Account Details screen, look for Email, just below your name details. Click Edit these details on the right hand side, next to the Account details header. It will now be possible to change the existing email address; you can delete this and enter the new email address. You can also change the account name at the same time. Click on Save changes to make the change, or Cancel to return to the previous details.